Sydney is a Batavia native. She joined our team in 2016 and is our practice's Head Receptionist. After finishing her degree in Humanities from Genesee Community College, Sydney decided that her love for animal companionship was a sign that she'd like to work in a field with pets and the people who love them. Having spent many years in the customer service industry, she feels right at home helping pet owners with everything and anything she can. In her spare time she enjoys spending time with her dogs Ichabod and Ailish, gaming, drawing and being with friends and family. She also has two mice, Gadget and Gizmo! ​Amanda is a Churchville native. She joined our team in January, 2015. You may recognize her from Pontillo's as she worked there part time as well. Amanda has always had a love for animals and knew from a young age that she wanted to work in the veterinary field. However, she instead pursued her passion for fine arts in college and earned a Bachelor's Degree in Fine Arts with a minor in Psychology from Nazareth College in 2013. When Amanda is not working, she enjoys archery, fishing, reading, yoga and taking walks outside. She also enjoys time at home with her family and their two dogs, Koda who is a Lab mix, and Phoebe a bulldog/pit bull mix. ​Jessica grew up in Hilton, NY. 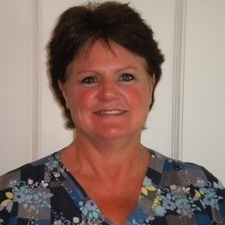 She joined the Churchville Veterinary team in 2013 as a receptionist. She now lives in Brockport with her husband, 3 children, her Chihuahua mix Henry, a Yorkie named Cupcake, Pit bull mix Trinket, Oswald a special needs Bulldog, Eugene the cat and Bart the Blue Fronted Amazon Parrot. When Jessica is not working, she enjoys watching her kids play sports, finding and refinishing furniture (she is responsible for the cute chairs in our waiting room) and also works as a hairstylist at Crossroads Hair Studio. ​Anne is a native of Churchville, NY. 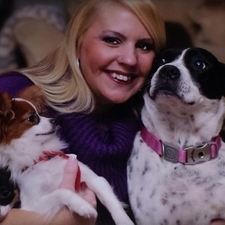 She previously worked at Churchville Veterinary Hospital from 2006-2010 as an assistant. She then rejoined our team in June of 2012 as a part time receptionist. When Ann is not working she enjoys camping, hiking and refinishing furniture. Ann has a Great Pyrenees/Golden Retriever mix named Gracie.